by Magda Veselska – Published 2016 by Judaica Bohemiae 51:41-83. Edition Language: English. Author Magda Veselska uses the exact words that I have copied for the first statement of the title of my review. (p. 68). By way of introduction, the meme of a planned Nazi commemoration of the eliminated Jews has become “truth” by retelling. The author elaborates, “According to one view, which is now the more widespread and, having been constantly repeated, perceived to be true, in August 1942 the Prague community received, from out of the blue, an order from the Nazi ZENTRALSTELLE FÜR JÜDISCHE AUSWANDERUNG to create a ‘museum of an extinct race’. 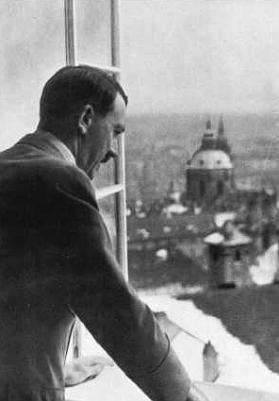 In this sense, the Prague community is perceived as a victim of the ZENTRALSTELLE and, at the same time, as its accomplice.” (p. 41). Let us deconstruct this long-standing Holocaust myth. Veselska makes things very clear, as she writes, “It is also debatable whether the founding of such a museum would have been entrusted to the head of the Prague ZENTRALSTELLE, rather than to propaganda experts in the Reich; moreover, NO DOCUMENTS HAVE YET BEEN FOUND that show that Günther’s superiors in Berlin even KNEW about the museum.” (p. 69; Emphasis added). No archival evidence exists for any kind of Nazi plans for an extinct race museum (p. 75), or even for the postwar conjecture of the Prague collection becoming part of the Institute for Research on the Jewish Question (INSTITUT ZUR ERFORSCHUNG DER JUDENFRAGE) in Frankfurt am Main, which professedly focused on GEGNERFORSCHUNG (studying the enemy). (pp. 74-75). The “Prague Museum” during WWII was no such thing. It was a centralized safe repository for the belongings of the deported Jews. (p. 68, 70). Moreover, the collections were large and varied, and, by their very nature, were inconsistent with any would-be Nazi propaganda attempt to portray Jews as some kind of evil people that had to be exterminated. (p. 69, 74). Nor were the collections available for any kind of public viewing. The head of the Prague ZENTRALSTELLE, Hans Gunther, showed the collections only to a small, private audience. (p. 69; See also Ref. 90, p. 69). In addition to all this, there is no hint of the Jewish staff unsuspectedly involved in the making of any kind of eventual “Museum of An Extinct Race”: To the contrary. Veselska comments, “The claim put forward by post-war authors that the museum was to be used for propaganda purposes is unlikely for several reasons. The museum exhibitions were created by Prague community staff from their own perspective; the interventions by the ZENTRALSTELLE were insignificant.” (p. 69). The author writes, “As a result, the ‘museum of an extinct race’ label can be seen more as A POST-WAR CONSTRUCT by which its authors and subsequent users tried to surmise the motivation of the Prague ZENTRALSTELLE for approving the existence and activity of the Prague museum, without knowing or taking into regard the events that had preceded its founding. This METAPHORICAL designation, however, characterizes more the result than the goal of what happened during the war. The designation cannot be regarded as authentic, as IT HAS NO BASIS IN THE RELEVANT DOCUMENTS that have been preserved. Even IF the ZENTRALSTELLE had a specific intention of what to do with the museum and its collections after the war, it is evident that no such goal was fulfilled during the war; the museum was everything else than a potential tool for Nazi propaganda.” (p. 69; Emphasis added). From time to time, the postwar staff of the museum spoke of the ZENTRALSTELLE as having some kind of goal in mind for the collections. However, these musings were of a vague and conjectural nature. (pp. 72-74, 78-80). The author comments, “If we place the above-mentioned texts on the Prague Jewish Museum during the Second World War in chronological order, it is possible to trace a chain of motives, from which the current narrative has gradually been developed. Through subsequent reiteration, the interpretations and assumptions became transformed into deep convictions and absolute claims: the result of what happened during the war became its goal, the museum that collected the objects from the liquidated Jewish communities of Bohemia and Moravia became a museum of all the murdered Jews, the image of the Jewish nation became a caricature of an ‘extinct race’, the memorial that was built unwittingly by the museum staff due to the quality of their work became a memorial to the victory of the Nazis, and the expectation or assumption of the propagandists use of the museum became a deep certainty.” (pp. 80-81). Veselska concludes that the collections of the deported Jews did not become a museum in the true sense of the word until after the war, and then when the full scale of the tragedy that had befallen the Jews of Bohemia and Moravia came to light. (p. 68).